Do you have issues brewing the perfect cup of joe at home? We check out some smartphone apps that promise to help. Tired of creating bitter coffee in your French press because you forgot if you started it 4 minutes ago or 5? Have no clue how much coffee your AeroPress needs, or how finely you should grind your beans for a gold-cone filter? 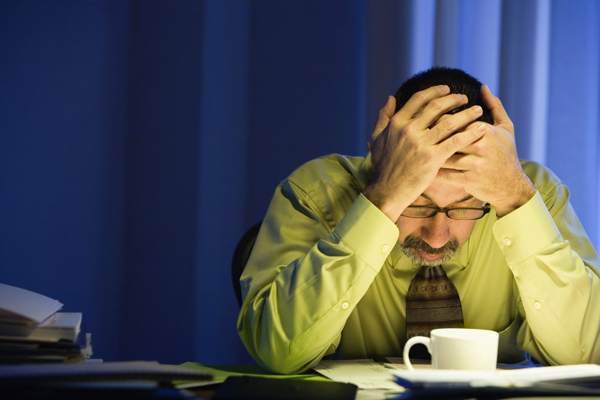 Or maybe you’ve wanted to try new brew methods but are just intimidated by not knowing. Whether you’ve been brewing a French press for years, or if you’re just trying to get beyond the standard drip brew, fear not: There’s an app for that. We checked out some of the apps available for helping you brew the perfect cup-o’-joe. Screen shot of the Recipe Coffer Timer app. Recipe Coffee Timer, Bloom and Brew Control all offer “recipes” for a variety of brew types and countdown timers so you never over brew your beans. 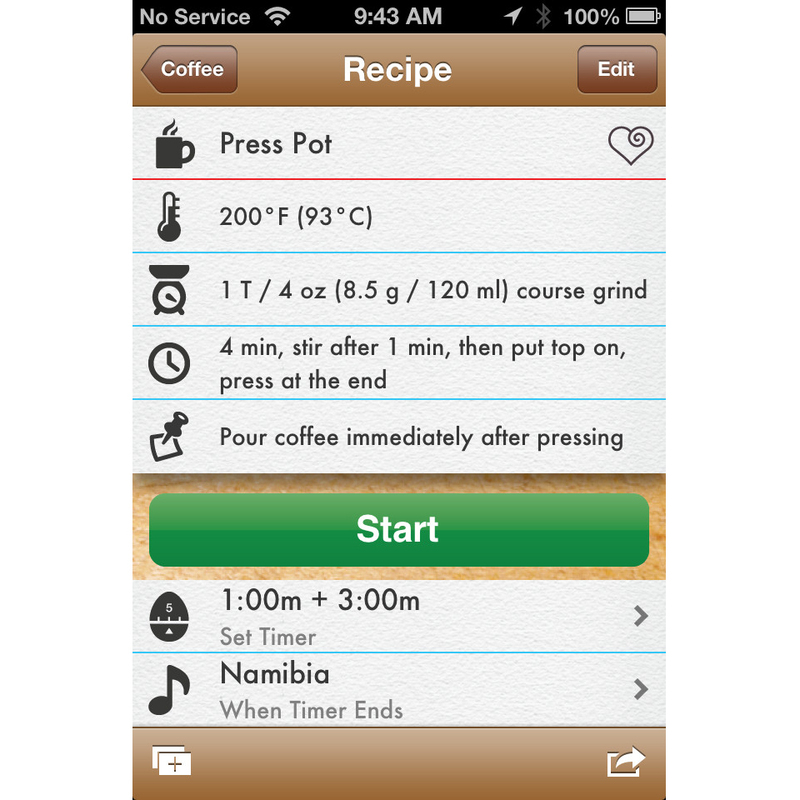 Recipe Coffee Timer is a free app, and having used it for a while, there are some great features. It provides recipes for everything from espresso to AeroPress systems and also lets you customize all of the recipes in case you like your coffee a little different than the recipe. The interface is a little messy and overwhelming at times, but it’s tough to complain with the breadth of coffee types and brew methods available. It also offers recipes for teas and hot chocolate. Bloom and Brew Control are both paid apps and offer similar features as Recipe Coffee Timer. In general, these seem like good apps if you’re just starting to move beyond a standard drip-brew. However, if you’ve been around coffee a bit, or if you use the same machine everyday, you probably won’t need to consult the recipe guides regularly after the first time. The timer feature is nice, but one could just as easily set up a timer that comes standard on most phones today. The one nice thing it’s great for is if you’re unsure how long a French press should brew, or how long an espresso shot should take. I just can’t really see paying $2.99 for information I can Google for free, or for a timer that I can set on my microwave in probably the same amount of time. For those who live off of their smartphones and just need a new app, you might want to try out Recipe Coffee Timer for free before paying for the other options. There are some other apps out there, both free and paid, with some pretty cool features. Caffeine Zone 2 Lite was put together by some researchers at Penn State University, and it approximates the levels of caffeine in your blood system. They have a great visual graph of caffeine levels over time, so you know how many shots of espresso you need in that latte to keep you alert but not ruin your sleep habits. And if you’re worried about consuming too much coffee in general Coffee Addict keeps track of how much coffee you’ve consumed over weeks. With that you can see just how bad that java addiction really is. 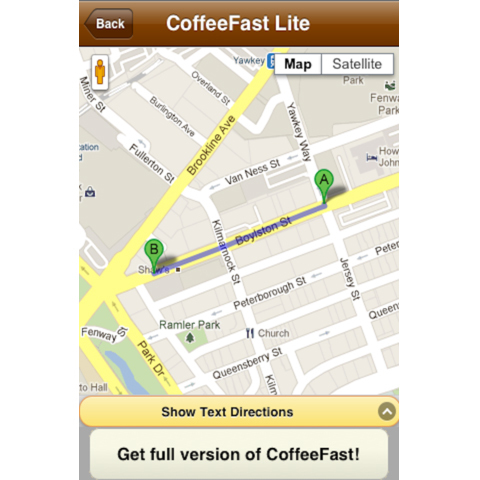 The CoffeeFast app gives you walking or driving directions by map or list. My personal favorite is CoffeeFast. It’s a search app that shows coffee shops in your area. Sounds like Siri or Yelp, right? Nope. You can set filters to block major chains so you can support local businesses and it’s super easy to use: just open it and it automatically searches for local coffee shops. This makes it super fast and easy when you’re in a rush or out on the street and don’t want to open a number of screens or type anything with your thumbs. Some of these apps will help you in your coffee search out in the world, and some will help you master the home brew. While not perfect, coffee recipe apps can help give you the confidence to try new ways to make coffee, like the AeroPress or an old-school French press. But if all of this still leaves you lost, there is always the option of the single-serve brewers like Keurig. Editor’s note: If you have professional experience with coffee makers, Viewpoints is recruiting experts in priority product categories to write for our blog. 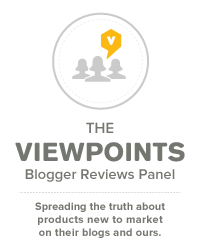 Check out this overview of the Viewpoints Category Expert Program, including qualifications, compensation and how to apply. Michael Lombard updates and moderates the products listed on Viewpoints.com. When he’s not busy managing the product catalog, he enjoys writing about pet care and home appliances. ← Big-Name Formula Brands: What’s the Difference?